The 10 Best Omelets in Rhode Island! Looking for a big, three-egg omelet and nothing less? Well, you’ve come to the best! These Rhode Island diners and brunch spots serve up some of the fluffiest omelets around, keeping you full all day long! Here are our 10 favorite spots to grab one in the Ocean State. Brunch is served every day at this incredible vegetarian-only restaurant! Go for one of their three omelet options: smoked mushroom, stuffed with goat cheese and kale, Tex-Mex, which is full of beans and avocado, or the Seitan sausage, which includes sweet potato and smoked onion. The eggs served up at Green Eggs won’t be a surprising color, but they sure are fresh! They serve up omelets as large as their pancakes! Each one is served with toast and home fries, guaranteeing that you’ll be kept stuffed all day long. If you’re up early, or perhaps a little too late, Louis is the first restaurant open in Providence at 5 a.m. sharp! The restaurant has been family-owned and operated for the past 60 years, giving it plenty of time to perfect the omelet. The omelets are so big you’ll need to bring them home with you—but also make sure to try a grilled muffin while you’re there! Located on the Knight Farm, right next to the apple orchard, you’ll find the delicious Farmers Omelette Restaurant. Even in October, enjoy your delicious omelet on their outdoor sheltered porch. Make sure to go for the veggie omelet—and remember to bring cash, as the restaurant is cash-only. Order up at the counter and grab a spot in Olga’s quaint outdoor garden area. 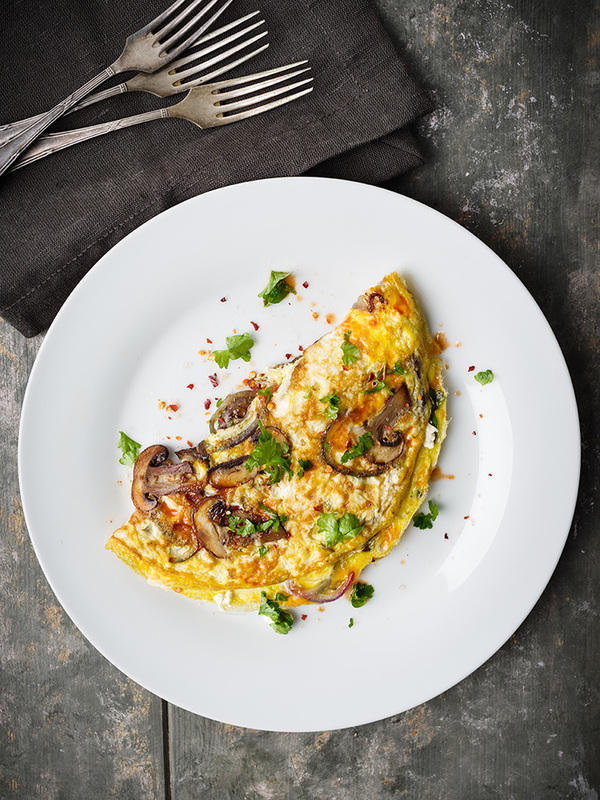 The omelets are completely stuffed with all of your favorite fillings. Bacon, sausage, spinach, peppers—whatever you love, curate your favorite omelet at Olga’s, and make sure to enjoy free coffee refills the entire meal long. Classic may be in the name of this café, but the omelets are anything but! The omelet list is seemingly endless. Try a Western (filled with green peppers, ham, onions & cheddar) or the FAST (feta, avocado, spinach and tomato) if you’re having a hard time choosing from the long list! This classic diner serves up some of the best omelets in all of Rhode Island—and best of all, it delivers. Imagine eating one of their incredible omelets, like the smoked salmon and onion omelet or the chicken fajita omelet, right from the comfort of your own couch! Tucked away in the East Side of Providence, the cozy Brickway serves up breakfast weekly starting at 7 a.m., and 8 a.m. on the weekends. Make sure to go for the “Providence” omelet, which is bursting with chicken, peppers, bacon, mushroom, tomatoes, and bleu cheese. The Hungry Monkey opened in 2009 and has since become a favorite among brunch-goers in Newport! They are best known for their appearance on “Man vs. Food.” If you want to relive that, you can submit to the 15-egg omelet challenge yourself! Looking for comfort food? You’ve certainly come to the right location! Even their simple traditional omelet is delicious, but the best way to go here is to create your own!